I wanna send a big shout out to Melissa for being my secret santa. 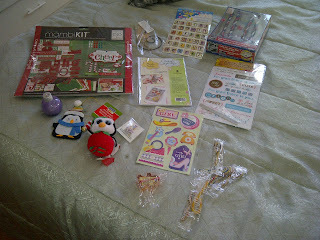 Look at all that stuff....she got to know me thru my blog and spoiled me so much. You're welcome! Glad everything made it to you! Merry Christmas!